Customer service is our number one priority. The team at Budget Kitchen Renew works with clients to customize kitchen designs and remodels that fit every budget. 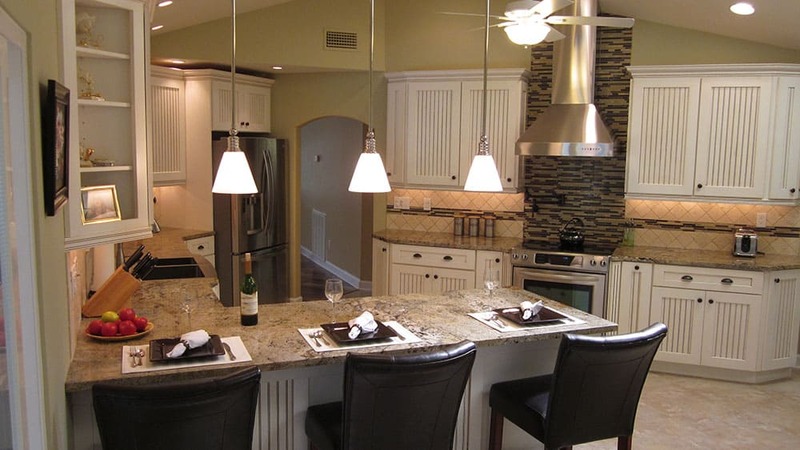 What sets us apart from our kitchen remodel competitors is the experience we have to offer. For over three decades we have been exceeding customer’s expectations with regards to their kitchen renovation projects. Over and over again we customize home improvement upgrades better than the big box stores. Our valued clients are shocked to discover we can always beat big box store prices. Because we are a family-run locally owned and operated construction business, our overhead is far lower than national chains. We then pass those savings on to our customers. We know what kind of investment kitchen remodeling is. That’s why we are a much better choice over home improvement stores that don’t consider your budget or care about your vision. We promise accurate pricing on your remodeling project without any added charges. We will work until you are 100% satisfied with your results. 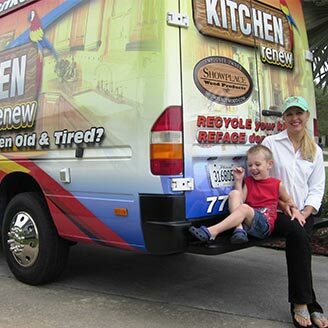 When we founded Budget Kitchen Renew we understood that renovating the most lived-in space of your home is highly personal. Because of this mission, we treat our customer kitchen design ideas equally personal. Our team is people-oriented and prioritizes honesty above all else. We promise you will get our personal attention from start to finish. We proudly serve the Treasure coast such as Port St Lucie, Vero Beach , Sebastion, Melbourne Florida and other areas. We have even gone as far as Cape Coral and Ft Meyers to satisfy a client. Soon opening an office to serve the greater Jacksonville Florida area. Give us a call and tell us all about your project, we would love to help you get started! Have you been watching HGTV and been getting the remodeling kitchen juices flowing? Let us help! This is your guide to giving any room in your home a complete face-lift. Although our focus is on kitchen cabinet refacing , our service model extends even into your bathrooms. We guarantee to tailor our designs to your specifications. Budget Kitchen Renew understands there is no one-size-fits all approach which is why we focus on customization rather than what’s cheap and easy.We want your dream kitchen come true at a price you can afford. We will value engineer your kitchen and show you how to get the most from your hard earned dollar. Choose from hundreds of materials and door designs. The combinations are forever changing. Check out some of our door models both in the gallery and door samples. In the past few years cabinet re-facing has become a highly effective technique during kitchen makeovers. 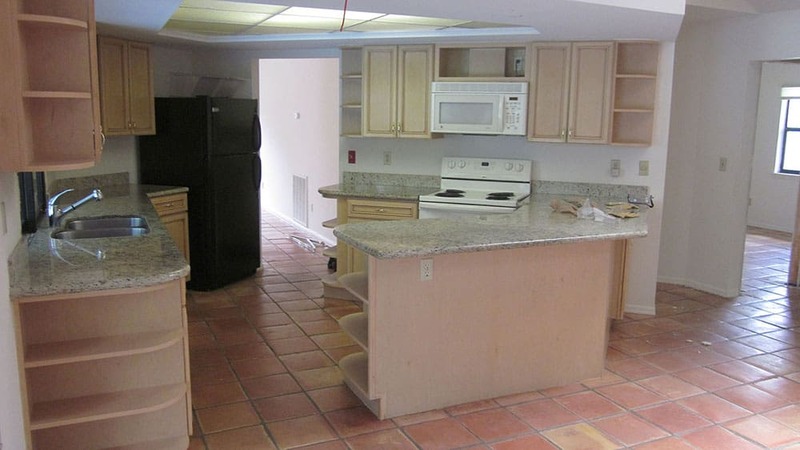 Kitchen cabinet refacing is a very cost effective as you can tell from our photo gallery. Renovating the cabinets and counters can often exceed the average person’s budget by thousands of dollars. We have cultivated a large portfolio of finished kitchen renovations and would love to share our insights with you. Our focus on affordability and ideas that really do improve your kitchens feel and look, this is what sets us apart from the rest. Many kitchen renovations could be updated with a simple island or by adding a peninsula. Upgrading minor details such as crown molding, full overlay doors, light rails, new hardware, and even under cabinet lighting can easily transform your overall kitchen design for a small cost compared to a complete renovation. Looking for a custom kitchen remodel? Great, we would be thrilled to help you stay within budget. From custom cabinet design, stainless steel appliances, and granite countertops our team of highly trained technicians would love to tailor a new kitchen to your unique style. Nobody sitting behind a desk at a big box store is going to come to your home, take a close look at your current kitchen layout, and offer money-saving ideas. They want you to spend money (lots of it) but an estimate from Budget Kitchen Renew can easily save you thousands of dollars. And we can prove it! People don’t necessarily know exactly what they want in their new kitchen renovation, we can help with that too! Design is one of our specialties. We promise to take your input and come out with the perfect remodel for your space! No matter what you’re looking for we can bring it to life. Put your project in the hands of professionals, sit back, and relax. Still unsure if Budget Kitchen Renew is right for you? Be sure to take a look at our stunning before and after photos! We feel the process should not be complicated, so we have tried to make this as simple as ABC. First it starts with a simple phone call or email to tell us about your project. A phone call is always nice because there is nothing like the human voice and the inflection it gives to one another. Second, most companies have a policy never to give a quote over the phone. However, we feel that if you really want to complete your project, it is our obligation to give yu some approximation of costs so you can plan accordingly. So we don't mind talking about pricing with you on the phoe. It saves time which is important for the both of us. Third we would love to come meet you and see your project, but very often schedules do not allow us to meet people at a certain time and they would like to know some answers right away. All you have to do is snap a couple pictures of your kitchen with a cell phone and either text us the picture or send us an email with the picture enclosed and we will call you right back to discuss your project with you in more detail. And finally if you like what you hear we would be happy to come to your home and go over the details and verify the scope and details of work. We would give you a schedule and have you sign a small one page proposal agreeing on the work and we are done. No big lengthy contracts etc. We still do lots of business with a handshake. In conclusion we have tried to keep this as simple as possible for homeowners with no fast talking salesman. This is a family affair and you would always be talking to the owners. We would treat you exactly the way we wanted to be treated. That is as simple as it gets. Note: If the kitchen is an extensive remodel than usually two to three meetings are required and a drawing for approval would be submitted. This would involve kitchen layout/lighting/flooring, countertops etc. Our primary concern is customer satisfaction. That's why we have dozens of five star customer reviews and hundreds of satisfied customers. Our years of experience and unique process puts us at the forefront of kitchen renewal quality and at the lowest prices. That's why we are happy to match a competitor's written quote if they're able to beat our pricing. Please get in touch with us today and we'd love to discuss your kitchen renewal options. © 2019 Budget Kitchen Renew. All Rights Reserved.